I am a farmer, a steward of many things. I love to watch plants, animals, and my boys grow into healthy, productive, mature beings. I try my very best to improve the sustainability of my family each and every day. I feel I have a purpose in life, though I don't always know what it is. I don't need to always know what it is to enjoy the moment. I will be baking my tail off this tomorrow for our winter market at Mountain City Traditional Arts on Saturday from 10 am- 1 pm in Frostburg, MD. Yeah, I will have a few last tomatoes too! We’ll have a few of those too. I will bring along some of our luxurious goat’s milk soap and honey from our bees to your table. See you there! On Friday, I will watch my son Caleb become a sailor in Great Lakes Illionois, and the rest of the week we are getting our winter veggies ready to grow, canning and making some wonderful lotions and other delectables, so I decided to invite our CSA members out to help themselves for the week. You can come to the farm Monday, Tuesday and Wednesday 8am-8pm. You can come to the farm Thursday , Friday and Saturday 8am-11am. Tomatoes, Peppers, Beans, Pie Pumpkins, Winter Squash, Melons, Okra, Eggplant, Swiss Chard, Herbs, Ground Cherries, Tomatillos, Apples for apple sauce or apple butter, Maybe some grapes- they are getting close. You may take what you will use, and if you want to can, or freeze anything, you may have use of the kitchen on the farm for that purpose. I have a 6 burner stove that helps get the job done efficiently. I really look forward to seeing everyone this week! BTW if you are not able to stay to pick, we will have items ready for you to pick up, just ask . 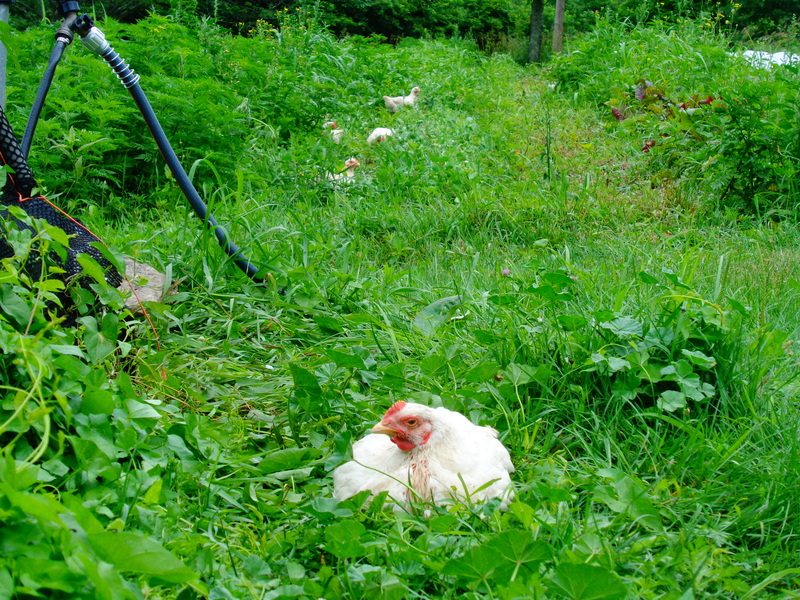 What’s life like for a free-range chicken at Goodness Grows Farm? Let’s have a look. “Free-range” means free to explore, and exercise.. Compare this to the conventional, industrial method that provides your typical store-bought chicken. Such birds are confined to crowded, dark, diseases-ridden cells and stuffed with antibiotics and GMO/chemically-grown feed. For their entire lives they know nothing but misery. And miserable chickens make miserable meat. Anyone who has grown accustomed to eating only healthy, organic food but then regressed to a fast food meal knows what I mean, that miserable feeling in both mind and body. That doesn’t fly at Goodness Grows! We ensure our chickens live fulfilling lives, taking part in the cycles of nature. We grow organic soybeans, millet and buckwheat to supplement their diet. In return they provide fertilizer for next season’s veggies. Furthermore, they help maintain our gardens through their scratching, foraging, and other chicken-like behaviors. Our chickens contribute greatly to our farm’s balanced ecosystem, all while receiving the respect and fair treatment that living creatures deserve. Most of all they help sustain our community with healthy, delicious and happy meat! 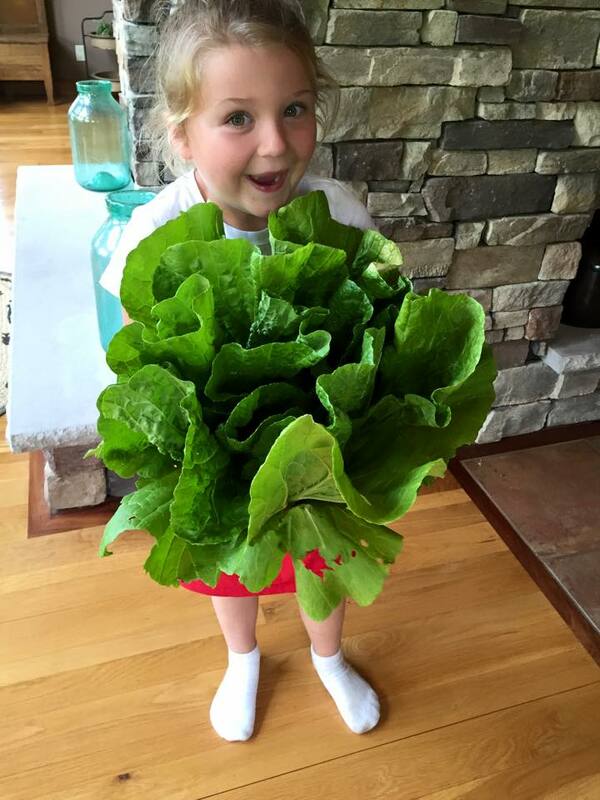 Summer is in full swing, and Goodness is certainly Growing here at the farm. 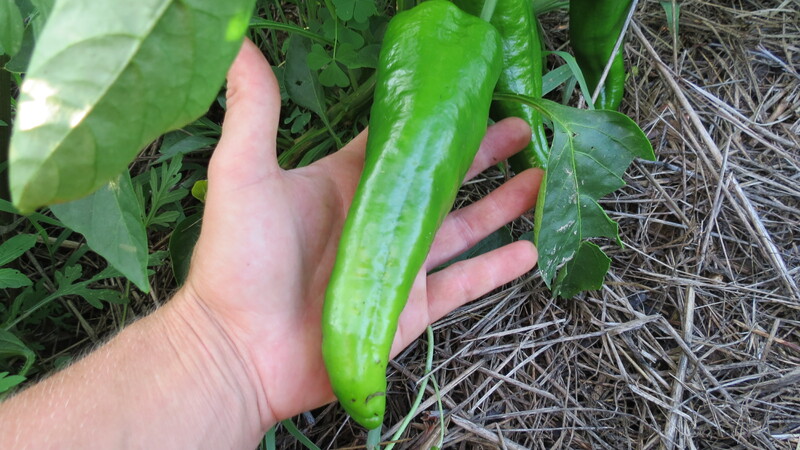 Thanks to the recent rain and a bit of organic loving we’ve got tons of fresh veggies to pick this week. 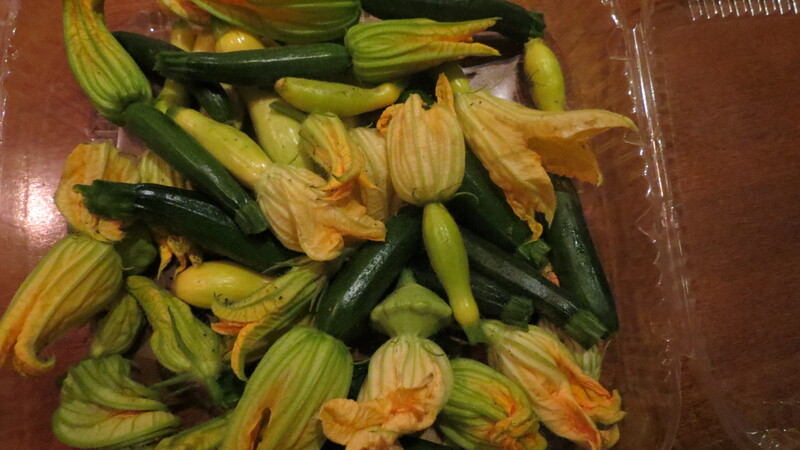 At the markets we’ll be offering carrots, beets, onions, kohlrabi, dunja and romanesco zucchini, yellow summer squash, peppers, eggplants, garlic, onions, okra, tomatoes, a wide selection of greens and more! And as usual we’ll offer our freshly baked bread, homemade soaps and honey. So come visit our stands in Bedford today and take home some of this fresh, healthy produce! We’ll be at the Farmer’s Market from 9am to 1pm and the Wholesome Living Marketplace from 3 to 5pm. If you can’t make it to Bedford today don’t worry, we’ll have plenty more veggies to pick throughout the week for our other market locations. Our favorite new crop for the season so far is the Napa Cabbage. If you haven’t tried it, let me just say, you simply must! What a delightful vegetable! This photo was submitted by Chris Mccagh Herring and I just love it! Slice the cabbage into 1/2″ strips and toss with remaining ingredients and serve chilled. I baked a ton of bread for this week , look for some of our new recipes like Sundried Tomato and Muesli as well of our old favorites like Sourdough Rye and Whole Wheat. Some other items we will see this week is lettuce, swiss chard, pak choi, sugar snap peas, baby carrots and baby squash. If you are wondering how you can get some volunteer time in, then you can come and join us for Weeding Wednesdays here at the farm. Also, We can use help to set up and pack up at the markets in the town nearest you. I love to get recipes from everyone and email is the best way to submit them… Each recipe is worth 30 minutes of volunteer time! We really appreciate the support and excitement from our CSA members this year thank you all so much!